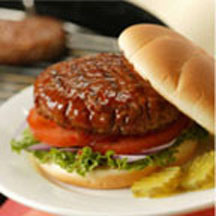 CooksRecipes has quality, kitchen-tested recipes for pork hamburgers and cheeseburgers that you can count on for successful deliciousness. 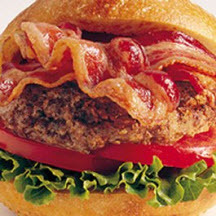 Burgers combined with ingredients of a summertime favorite sandwich, the BLT. Have young cooks help with seasoning these burgers and putting together finished sandwiches. This recipe will be a hit with young and old alike—everyone is sure to love the flavorful ground pork and pepperoni combination of the patties. Is your family fighting the burger boredom? Use ground pork instead. Have all your favorite condiments out to build your own burger.